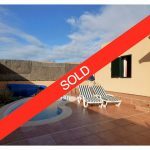 FOR SALE charming Penthouse Apartment in Corralejo. The property comes with open lounge area with fully kitchen, two bedrooms, a bathroom. An internal spiral staircase leads to the upper floor where we find another bedroom with a second bathroom, a large panoramic terrace with very stunning sea and dunes views. 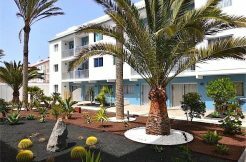 Corralejo is a lively touristic resort located in the north-east of Fuerteventura which is the island with the drier climate of the Canary Islands and is an ideal site to invest in a holiday home. Corralejo was born like a fishing village and today is a booming touristic area, lively, full of bars and restaurants where you can enjoy fresh fish. The square of the “Pueblo” comes alive in the late afternoon for a drink and during the dinner you can always watch small concerts of live music. Once, many of these restaurants were fishermen’s homes.